In the past we have been approached by organisers of Rally competitions wondering whether we could accept entries online for their shows as we have experience in hosting obedience online entries for shows. Now upgraded we have improved the site by making it easier and clearer to use. Book your classes, camping and catalogues and receive your show bookings by confirmation by email. 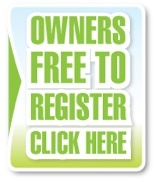 Once you and your dogs' details are registered it is quick and easy to enter a show by using your credit/debit or paypal account.